The river knows best: It nourishes and guides, warns and welcomes. 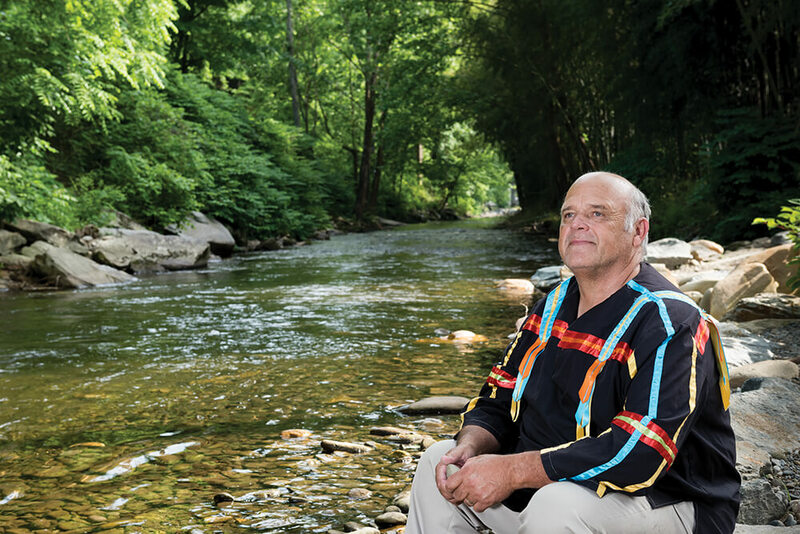 In Cherokee culture, river rituals and lore protect the mind, body, and spirit. 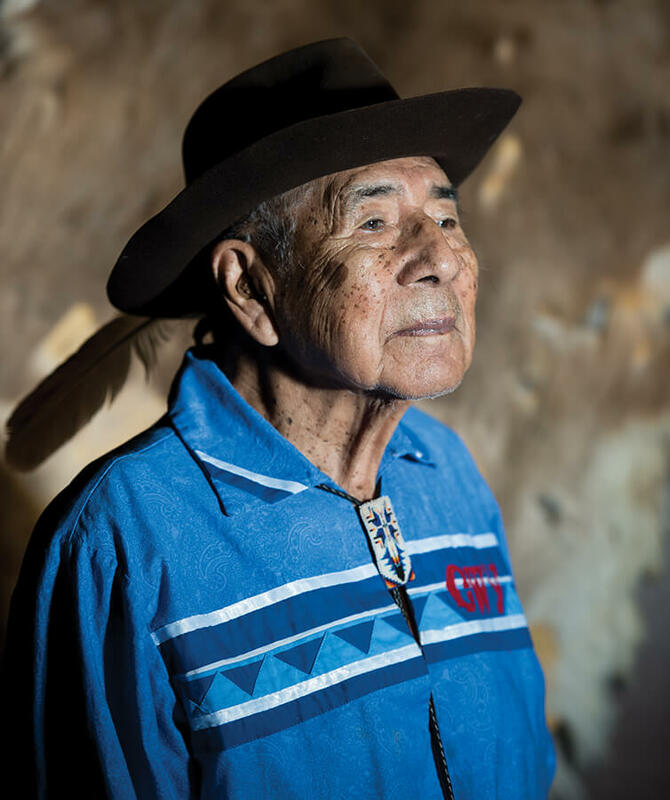 The voice belongs to Freeman Owle, the renowned storyteller for the Eastern Band of Cherokee Indians, who live in the Qualla Boundary in western North Carolina. Owle describes his repository of stories as just that — stories, rather than myths or fables — and in nearly every one, like in this parallel of Christianity’s Garden of Eden, a river runs through it. You can’t separate the Cherokee from Their rivers. “Holistic” is the word Dr. Barbara Duncan, education director for the Museum of the Cherokee Indian, uses to describe how, for the Cherokee, a river was at once a source of food, medicine, sport, celebration, cleansing, trade, and navigation. Protecting the river was vital to the health and well-being of the tribe. A ceremonial dip in the river was thought to wash away illness and bad thoughts. 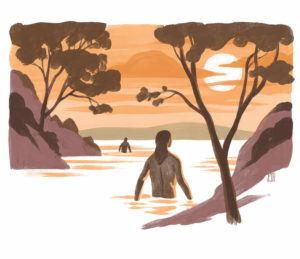 Cherokees bathed at the new moon, and upon returning from war, men would go to the water to purify themselves before re-entering the community. The practice was so sacred that it was considered taboo to spit or go to the bathroom in the river — or contaminate it with animal blood, as the hunter in Owle’s story accidentally did. These bans were an eye-roller for missionaries and anthropologists, who considered them sheer superstition. But, Duncan points out, we now know that those instincts were sound. The Cherokee never suffered from typhoid or dysentery, diseases connected to poor water sanitation. 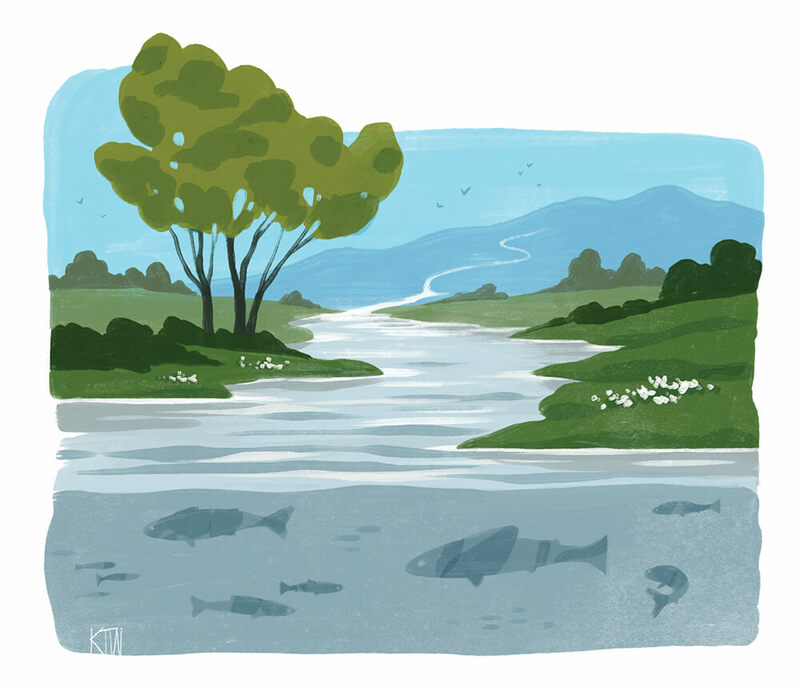 When the Cherokee talk about “the waters,” they aren’t talking about lakes, or the ocean. They’re speaking of rivers and the watershed as a whole. In western North Carolina, there were no lakes. Lake Lure, Fontana Lake, and Santeetlah Lake are all recent, man-made, hydroelectric lakes. Cherokee towns were situated by rivers, and always on the west side, because in the going-to-water ritual they faced east, and the names were inseparable from the river descriptions. Oconaluftee: “going really fast.” Tuckasegee: “the turtle place.” Antokiasdiyi (French Broad): “the place where they race,” because it was wide enough for canoes. River stories were (and still are) told simply, but they served as warnings, and explained the inexplicable. Children, listening at the feet of their elders, learned from these stories that the river could be dangerous and that they must respect its power. The term “Beloved Man” (and Beloved Woman) was a title given to warriors who had become too old to fight, but because they had lived lives of service and had impeccable character, their word was trusted. Beloved Men were sought out for advice by tribal members and attended treaty negotiations with colonial governors. The high honor hadn’t been used since 1801, but the Eastern Band of Cherokee Indians’ Tribal Council approved a resolution to name Jerry Wolfe as a Beloved Man in 2013. Wolfe is that rare individual: a full-blooded Cherokee. Like Cherokee children of his generation, he attended boarding school only steps from the Oconaluftee River. At 18, he enlisted in the Navy and fought in the invasion of Normandy. For Wolfe, a special importance of rivers centers on stickball, a Cherokee sport and a rehearsal for battle, known as “Little Brother to War.” An early cousin to lacrosse, stickball contests in the 1830s could include as many as 600 people, and combatants died in these fierce, bare-chested, man-to-man tournaments. 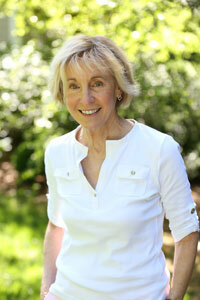 River stories go back thousands of years, and in the telling and retelling, time has worn them smooth and mysterious. Women were involved as well, participating in the last dance ritual, right at daybreak. Women also played the sport until 1870, when they were banned because the game was thought to be too rough. In 2000 they began playing again. “There was a young man who took good care of his elderly grandmother, and the other kids in the village began to get jealous because his grandmother bragged on him. They became really mean, so he decided he needed to go away for a while. And he left his grandmother. “When he came back a few days later, he was different. She didn’t know how. He said, ‘I have to stay in one of the outside buildings tonight. I can’t come in the house. Don’t open this building for three days.’ She waited three days, and there was a huge, giant snake inside that building. It was all that was left of him, and it went into the river and disappeared. She waited for him, day after day, to come back. But he never did. This strange story of the boy and his grandmother has many versions, but no one simple meaning, no easy takeaway wisdom for the modern listener. These river stories go back thousands of years, and in the telling and retelling, time has worn them smooth, rendering them mysterious, like runes. But they live on in the oral tradition of Cherokee storytellers and in the land itself. 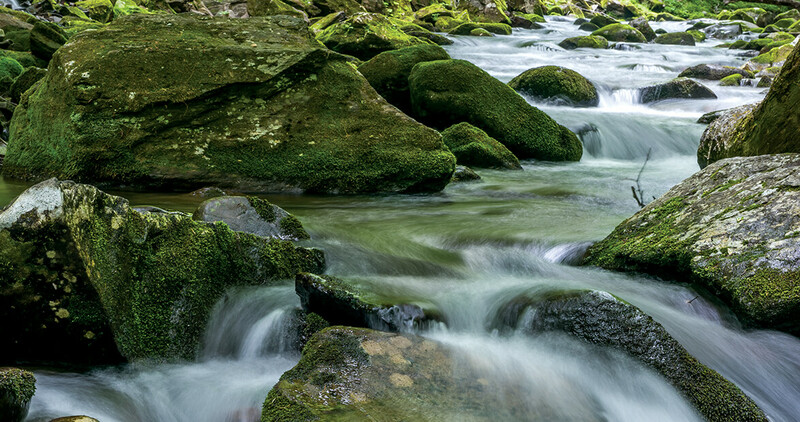 Today, Interstates 40 and 26, and Highway 129 (known to motorcyclists as the Tail of the Dragon, which runs along the Little Tennessee River) follow the landscape of these stories — the same rivers and ridges the Cherokee used to navigate the Great Smokies 10,000 years ago. If you look carefully at mountain riverbeds, you might recognize the V-shaped placement of stones known as weirs, thousands of years old, which the Cherokee used to catch fish. According to Wolfe, “big brown trout, rainbow trout, speckled trout” all went into woven baskets. But never catfish, which are bottom-feeders. Bones from trout, brim, and redhorse have been discovered in artifacts, but no catfish bones. Even today, the Cherokee do not eat catfish. Every spring the floods would come, yet the weirs stood fast. The enduring design is more than a testament to Cherokee engineering. It reflects an abiding acceptance of the river’s ways, its habits and temperament. Floods were part of nature, and the Cherokee never tried to dam, divert, or interfere with the river. Floods brought new, rich dirt for crops, as well as a new coating of sand for the dirt floors of their dwellings. Tellingly, the Cherokee people do not interrupt. They don’t try to correct, whether it’s a river brimming its banks or a person sharing a story. Instead, they pay attention. They listen quietly. Like Wolfe and Owle’s stories, rivers have turns and twists, additions and branches. And in all cases, the rivers of the Cherokee cannot be interrupted. Illustrations by Kyle T. Webster.